Choosing a mattress isn’t a decision to be made lightly. As times change many people now rely on purchasing their new bed online rather than spending hours searching around furniture stores. Two brands that are fairly popular are Saatva and Leesa. Both companies offer extremely well-made mattresses, that feel and look superior to most furniture store models. If you’re torn between which brand to purchase, here is how they compare. The Saatva mattress (full Saatva mattress review here!) is a higher-end choice but the person who needs a specific firmness level and wants to invest in a bed that is going to last for many years. These mattresses are mostly foam, but also are somewhat hybrid in nature which gives the best of both worlds. 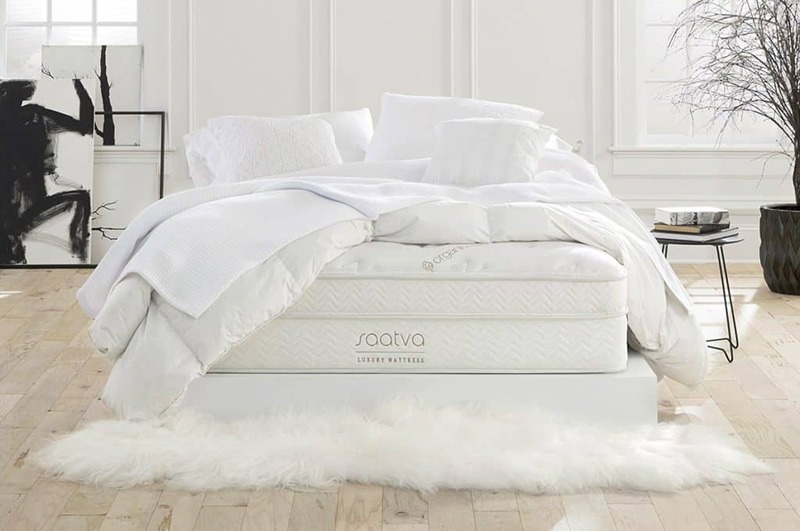 If you like the softness and comfort of foam but can’t find the same firmness level a traditional coil mattress tends to have, the Saatva is a dream come true. Here are the specs on the Saatva mattress lineup. The Saatva Mattress is only currently available to purchase on their site: www.saatvamattress.com. Along with all the size, mattress height, and foundation options, Saatva also has 3 different Comfort Zone levels. While some prefer a soft, springy mattress, others enjoy firm support. Their most popular mattress firmness is the Luxury Firm. This choice offers a perfect balance that isn’t too plush or too hard, and it likely the most comfortable firmness for the average person. It is ideal for side, back and stomach sleepers. Since it’s a medium firmness it works best for couples that are having a hard time finding a mattress that suits both. If you need something softer, the Plush Soft mattress is the right choice. Some people love the feeling of a soft mattress that hugs the body. The problem with many soft mattresses is that your body will sink too much, leaving you uncomfortable. Saatva made this mattress with softer foams and adjusted the core of the mattress so you still remain supported. The Plush Soft mattress is best for side or back sleepers. Finally, if you fall into the category of sleepers needing a solid, firm surface then you will want to check out the Firm mattress. 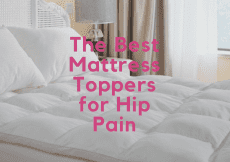 Firm mattresses are ideal for back or stomach sleepers, or individuals that have been told by their physician to purchase an extra firm mattress. Saatva managed to make a surprisingly comfortable mattress for how dense it is. This mattress will keep you floating on top, with enough softness you feel cozy but plenty of support so you don’t sink. The Saatva mattress line options are all made the same, with 4 main layers to their construction. The bottom support comes in the form of a steel coil base. These tempered steel coils are incredibly durable, resists sagging better than foam and will outlast pure foam mattresses. The next layer is actually made up of two combined layers – a perimeter support wrapped around Saatva Comfort Coils. These Comfort Coils are highly advanced and individually wrapped. These are what Saatva changes depending on the Comfort Zone firmness level chosen. The coils are protected with anti-sag foam, which keeps the coils safe while also reducing annoying edge sag when sitting on the edge of the bed. On top of this dual layer is added lumbar support foam. Its purpose is to reduce pressure and tension from the body. Finally, the mattress is covered in a cotton cover with a European pillowtop. Check out my full mattress review on the Saatva mattress here to learn more about this comfy option! The Leesa mattress was designed by a group of entrepreneurs that all shared one problem – trying to find a mattress that was soft but supportive and wouldn’t drain their bank account. The Leesa mattress is priced very attractively, looks better than most furniture store options and is well-liked by the older generation as well as the younger generation unsure of where to buy their first mattress as an adult. Here is a rundown of the basics of this mattress. Check out this recent price on a queen size! The Leesa mattress comes with a free 100-night trial, along with free shipping. It is made in the US and for every 10 mattress sold, Leesa donates one. There are three main layers to the Leesa mattress. The bottom or foundation of the mattress is 6 inches of a dense core support foam. This layer is to add support and stability to the mattress. The next layer is 2 inches of contoured memory foam. This layers contours to the body and works to reduce pressure points. On top of that is another 2 inches of memory foam, but this layer is made of a cooling material called Avena foam. Avena foam is more breathable and therefore keeps the body cooler than most memory foam. It also gives just a little bounce so you don’t get the stuck, sunken in feeling when moving around. This mattress is wrapped in a super soft, beautiful cover which is available in two different prints. The way the Leesa mattress is designed means you need to place it on the proper foundation to get a good night’s sleep. Since this is a foam mattress you will want to skip on a traditional box spring or a slatted foundation that bends. Instead, you should use a solid platform base or a slatted base with rigid slats no more than 3″ apart. Saatva - Top: This dual layer is added lumbar support foam. - Middle layer: A perimeter support wrapped around Saatva Comfort Coils. - The bottom support comes in the form of a steel coil base. 3 different Comfort Zone levels. - Plush Soft: mattress is best for side or back sleepers. - Firm mattresses: Ideal for back or stomach sleepers. Leesa mattress. - Bottom: 6" of a dense core support foam. 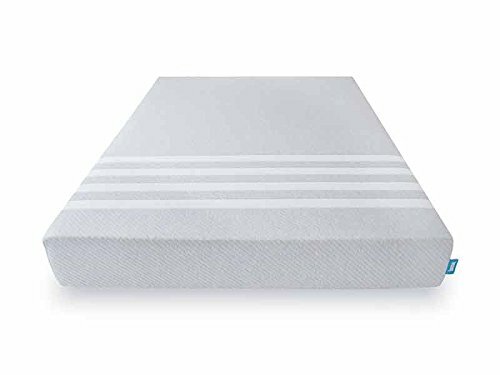 - Mid layer: 2" of contoured memory foam. 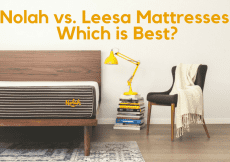 Deciding on whether to buy the Saatva or Leesa comes down to two factors – budget and mattress firmness. The Saatva mattress is clearly more expensive than the Leesa, with the Leesa being about $74 to $559 less expensive than Saatva. If you are on a budget then the Leesa is the obvious choice. It is still a quality mattress with plenty of positive reviews backing how comfortable and durable it is. 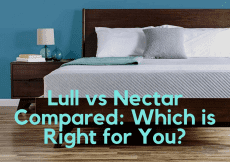 Compared to normal mattress brands, the Leesa mattresses are comparable in price or less. For a memory foam bed, it is a great deal. However, if the price isn’t a deciding factor but instead you are focused purely on comfort and support, the Saatva mattresses might be a better choice. The Saatva bed isn’t necessarily better, but the steel coil support and overall construction make it more durable than pure memory foam mattresses. It will last a solid 10 to 15 years, which also makes its price tag extremely reasonable for how much use you’ll get from it. The different Comfort Zone levels mean, you’ll be able to find the right choice, even if you need a firmer mattress for back problems. The average high-end traditional queen-sized mattress purchased from a big name brand can easily run close to $2k, which makes the Saatva mattress an economical decision, even if the Leesa beds are less. Overall, if you tend to find average firmness mattresses comfortable and need to save money, go with the Leesa. 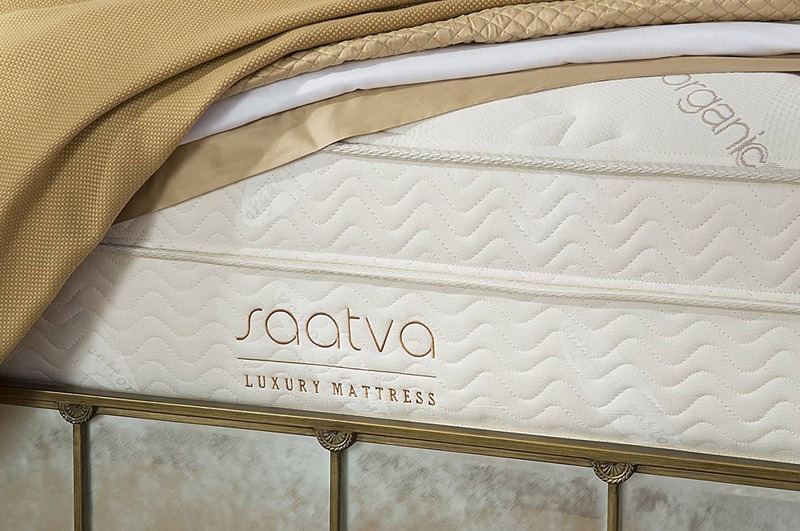 If you want a more custom experience and have a larger budget for luxury mattresses, you’ll feel like you are getting more with the Saatva.